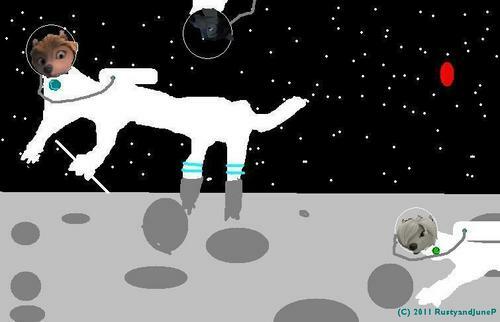 WOLVES, IN SPACE!, ON THE MOON, IN el espacio. Some misceláneo thought i had a couple nights ago.. HD Wallpaper and background images in the alpha y omega club tagged: alpha omega kate humphrey lilly moon space. This alpha y omega fan art might contain signo, cartel, texto, pizarra, and letrero.